Here you see Carroll the mathematician at his playful best. 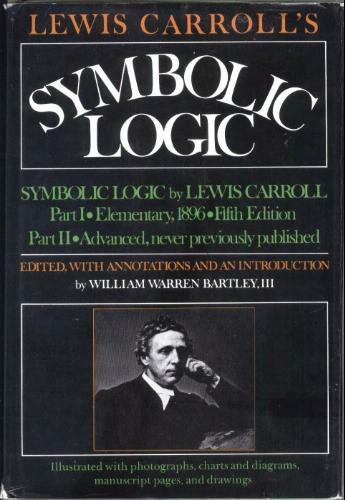 Don't let the title mislead you -- this isn't about modern symbolic logic but about ways of expressing classical logic with symbols. It's loaded with amusing problems to delight any mathematical puzzler. Manual of Mathematical Magic is packed full of magical miracles to impress and entertain your friends. The secrets behind street magic, close-up and stage tricks are explained clearly with instructions and videos to help you perform them perfectly.